Head west on I-90 and then north around Lake Ontario. As with many big metropolitan areas, there's plenty of traffic and congestion in Toronto. So consider using public transportation when you get there. A day pass for the TTC (Toronto Transit Commission) costs $12.50 Canadian (a little less than $10 in US dollars) for one person during the week -- but it's a great deal over the weekend when you can purchase a family pass for 2 adults and 4 kids for the same amount. Taking public transportation in Toronto isn't just practical, it can be fun all on its own. 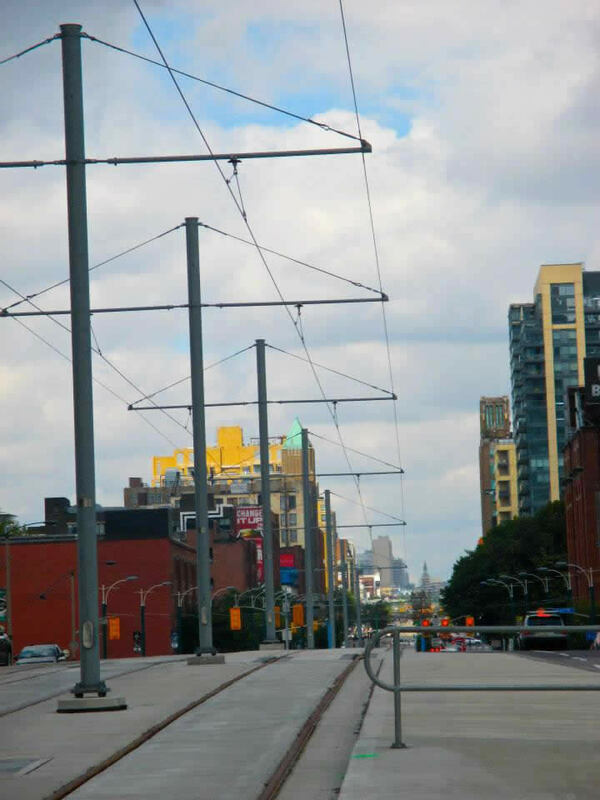 Toronto is home to the longest streetcar line in North America -- the 501 QUEEN -- running 15.4 miles. A ride down the entire line is a great introduction to the city and its many diverse neighborhoods. 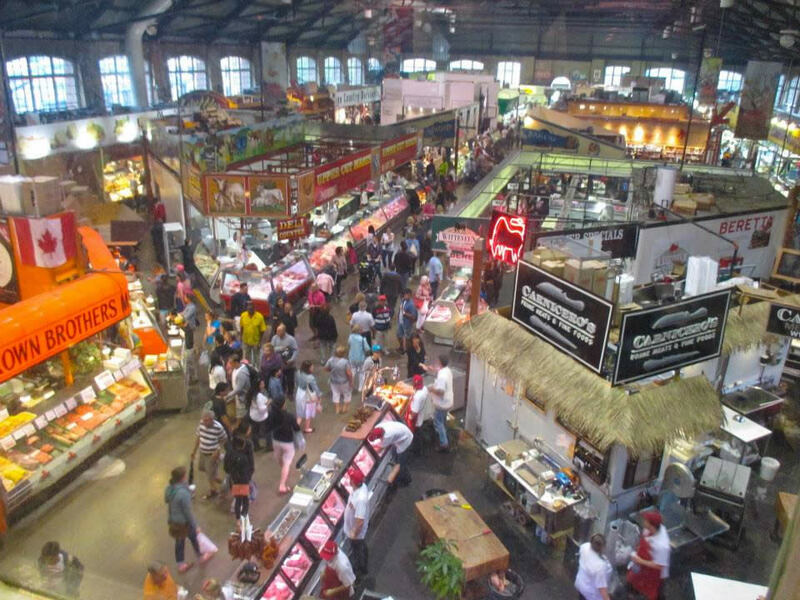 A traditional market operating since the 1800s, St. Lawrence Market has more than 100 vendors throughout its three buildings offering produce and antiques, restaurants, and a gallery. 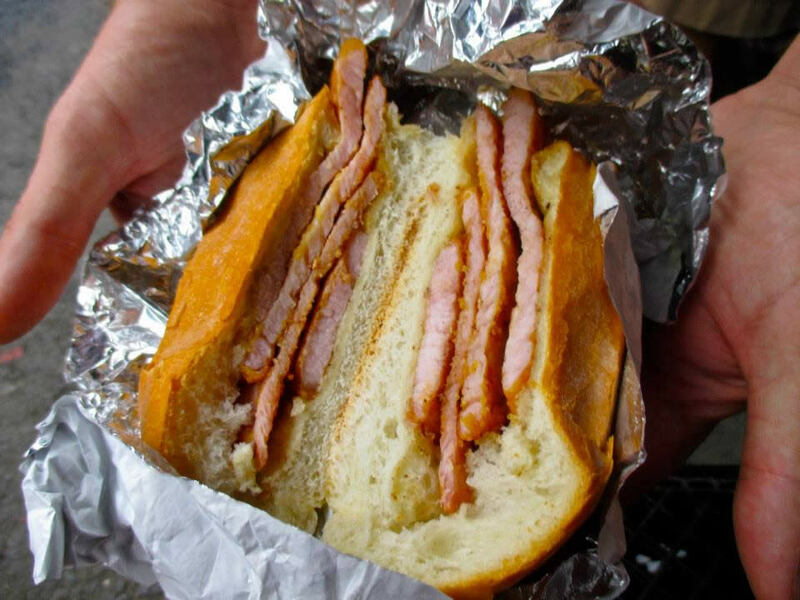 + A traditional Toronto bite at the Carousel Bakery is the peameal bacon sandwich. Peameal bacon -- which is cured pork loin rolled in corn meal -- is said to have been first produced by a proprietor in the market. At the Carousel Bakery, juicy, thick slices of the meat are served on a soft country bun -- it's excellent with a slather of mustard. 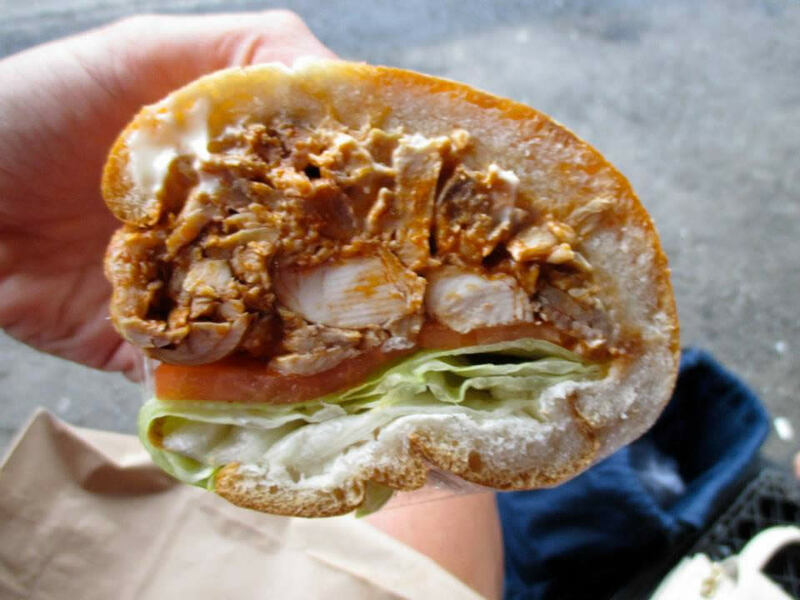 + Next up, watch the mesmerizing rotisserie spinning behind the counter and you know the chicken sandwich at Churrasco's is going to be fresh and delicious. The more hot piri piri sauce the better. Crowds can form on weekends, seating is limited - get there early! Totally funky vibe spills out onto the streets of Kensington Market, and a band on the corner plays a jazzy version of "Everybody Wants to Be a Cat." Over-the-top street art includes colorfully painted cars turned into planters and larger-than-life stone faces that become entrance ways to buildings. This is the place to shop in the city, especially for vintage goods. Bon't miss looking around Flash Back. Get your caffeine fix at Fika, which means coffee break in Swedish. The cardamom spiced latte with fresh mint is absolutely dreamy. Lunch is great at Sanagan's Meat Locker -- they have killer sandwiches, or take home some great quality meats from local farms to cook yourself. 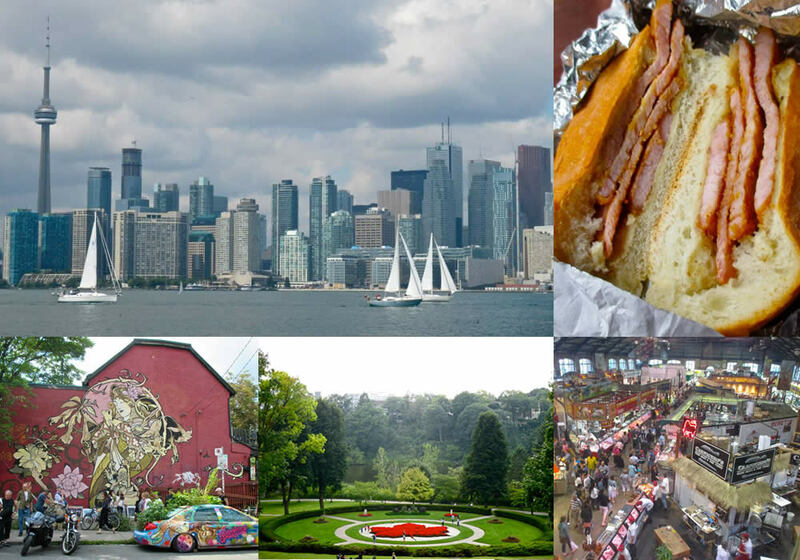 Toronto is home to some phenomenal museums, and some fantastically quirky ones, too. + The Hockey Hall of Fame, established in 1943, is a great place to learn about Canada's favorite sport. + Footwear from around the world is featured at the Bata Shoe Museum, the only one of its kind on the continent. More than 13,000 shoes are on display, from Chinese bound footwear to ancient Egyptian sandals, covering more than 4,500 years of history. + Textile Museum of Canada displays 13,000 textiles from around the world. + A funky repurposed building with free admission, The Power Plant Gallery houses contemporary art - with three new exhibits running this fall. Check their website to see to about its many events (by chance I witnessed a silent dance party in the courtyard). In 2016 nearly half of Toronto's population was made up of people born outside Canada, making it one one of the most diverse cities on the planet. The Danforth area is a particularly multicultural neighborhood well known for its Greek population. It's home to Canada's largest street festival -- Taste of the Danforth 00 dedicated to Greek food and culture. There are also many interesting ethnic eateries that beyond Greek cuisine. 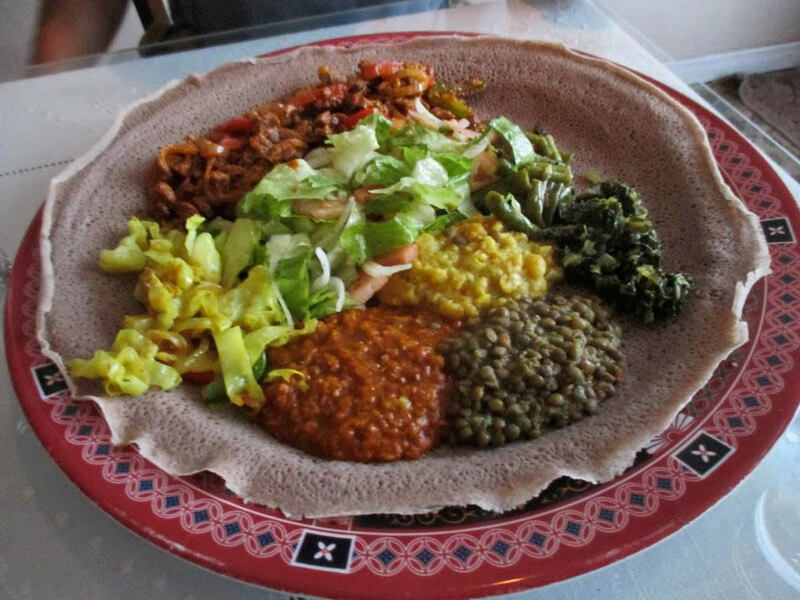 Try out Lucy Ethiopian Kitchen for an authentic vegetarian platter and consider partaking in a coffee ceremony. Of Toronto's diverse population, the largest ethnic representation comes from Chinese immigrants. So it's no surprise that Toronot's Chinatown is one of the largest in North America. 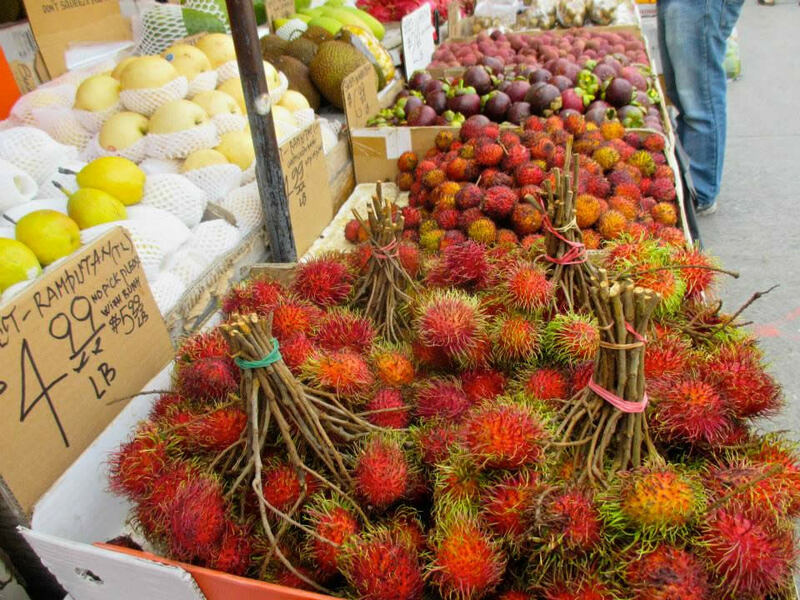 The area is great for shopping and sampling the wide selection of fruits and vegetables, along with sitting down for an authentic meal. 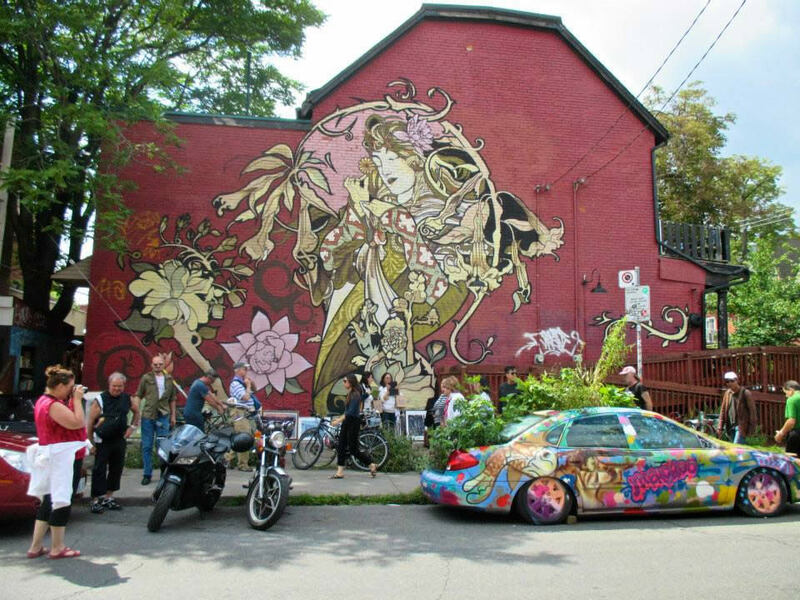 There are many blocks to explore, perfect for visiting after stopping at nearby Kensington Market. 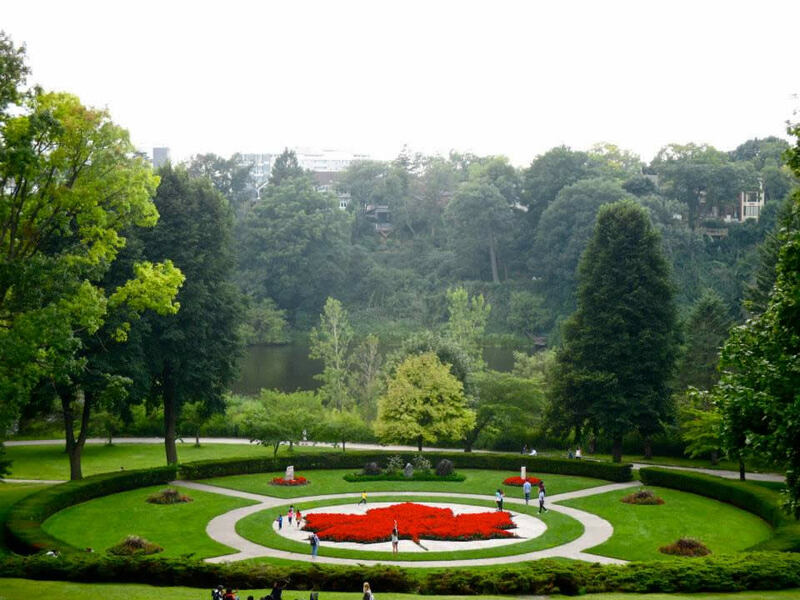 Toronto's largest park -- High Park -- has winding wooded paths filled with wildflowers, meticulously maintained formal gardens, and a free mini-zoo. It's right in downtown, but feels like a world away. (If visiting in spring, you may see the park's many cherry trees in bloom -- they were a gift from the citizens of Tokyo in 1959.) You could spend hours walking around and not see every corner. 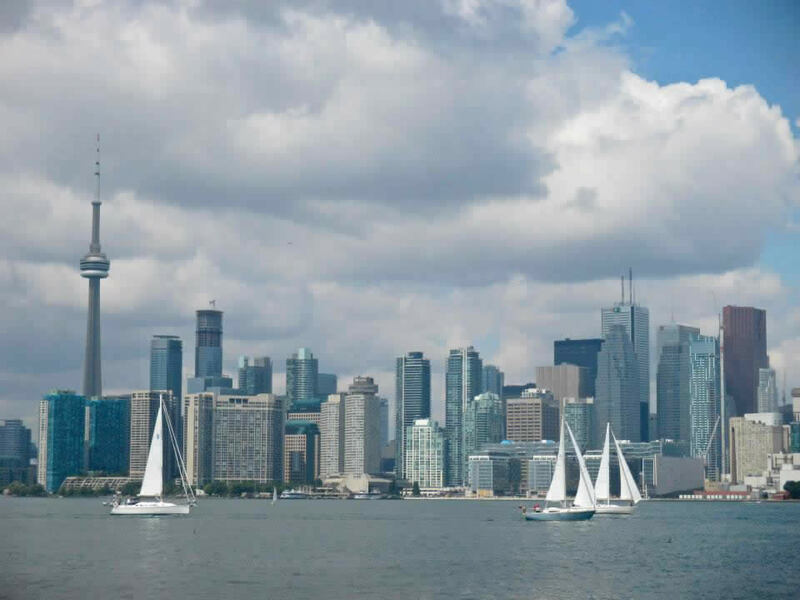 The largest urban car-free community in North America -- The Islands -- is a 15-minute ferry ride from downtown Toronto. The view of the shrinking skyline along the way is astounding, most notably the CN Tower sticks out. The grouping of 15 interconnected islands spans three miles and hosts numerous attractions. Rent a bike or take to the paths on foot. Summer is definitely the high season, filled with crowds flocking to the beach and amusement park. Off season the hiking trails, frisbee golf course, and lighthouse should be much quieter. Roundtrip ferry tickets are less than $8 for adults. 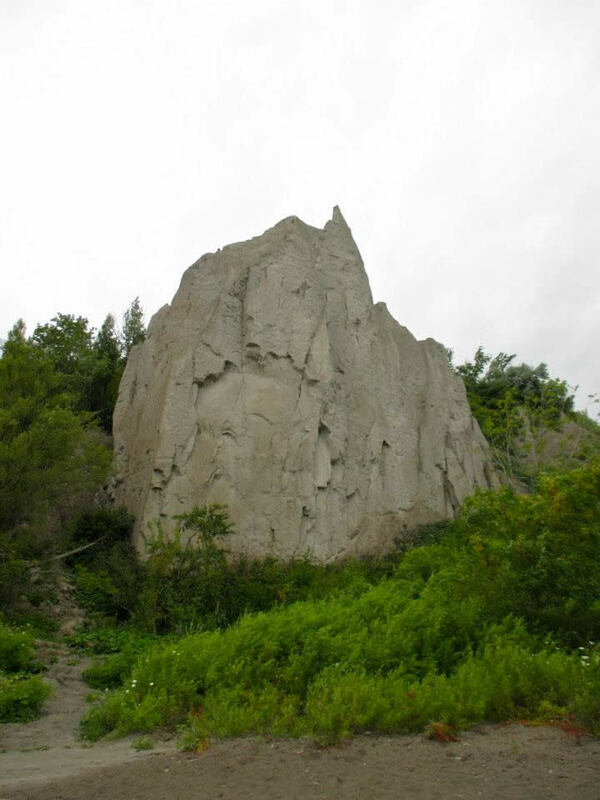 A unique geological formation on the banks of Lake Ontario, Scarborough Bluffs are strange and wonderful. Hike around one of the many parks that showcase the nine miles of the cliffs. Bluffer's Park is the only one in the chain that also offers access to the lake. There is a small fee to park in the lot there. If you've gone to Toronto, you might want to stop by the Canadian side Niagara Falls on the way home. It's just a few minutes detour from the route. 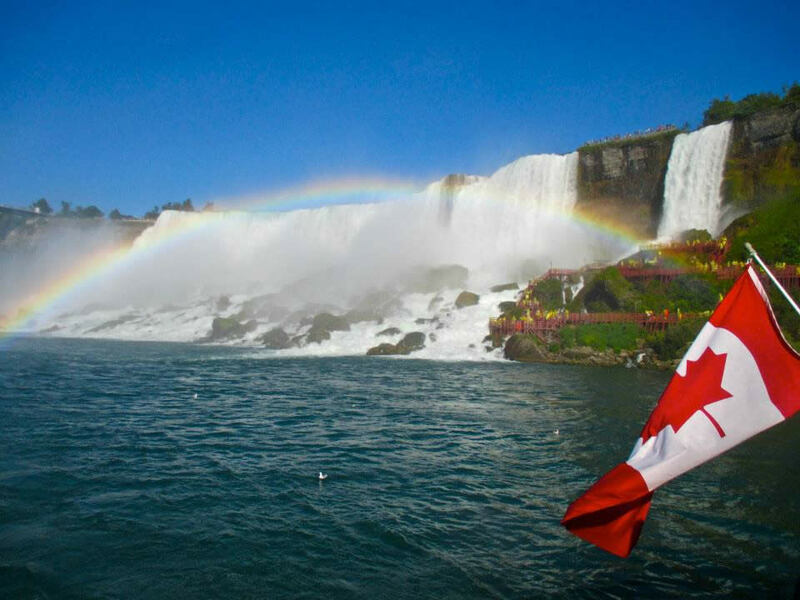 Admire the waterfalls from the street or take a closer look on the Hornblower Niagara Cruise -- tours run through the end of November.